Small law firms have fewer resources, but are bound by the same risk and compliance requirements as large law firms. Technology can aid with this challenge, but requires high user adoption to be fully successful as an investment and to provide a high ROI. 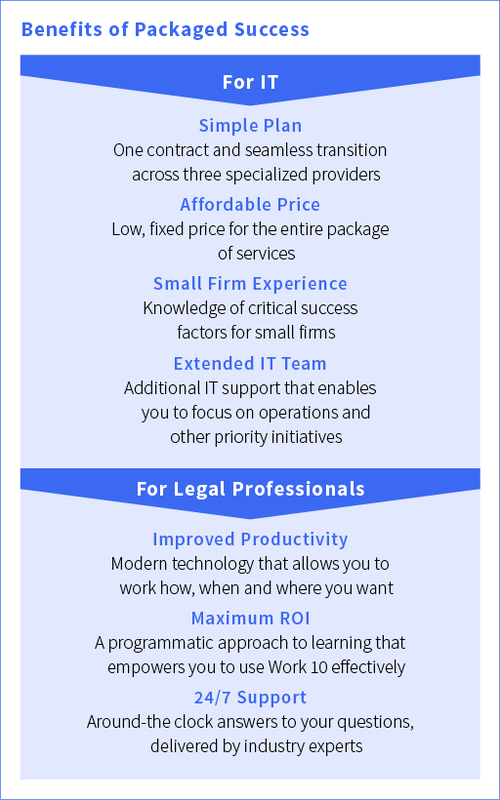 To assist with this challenge, iManage and its partners have put together a package meant to offer assistance through the adoption lifecycle, to all small firm clients in order to ensure Work 10 adoption success. Read the white paper to see the benefits of the Success Package and discover how to plan for your DMS future.